Back cover blurb: One morning, Deming Guo's mother, Polly, an undocumented Chinese immigrant, goes to her job at a nail salon - and never comes home. No one can find any trace of her. With his mother gone, eleven-year-old Deming is left mystified and bereft. Eventually adopted by a pair of well-meaning white professors, Deming is moved from the Bronx to a small town upstate and renamed Daniel Wilkinson. But far from all he's ever known, Daniel struggles to reconcile his adoptive parents' desire that he assimilate with his memories of his mother and the community he left behind. 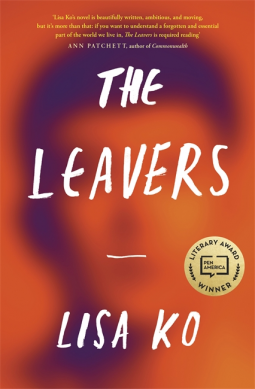 Set in New York and China, The Leavers is a vivid examination of borders and belonging. It's a moving story of how a boy comes into his own when everything he loves is taken away, and how a mother learns to live with the mistakes of the past. Deming Guo is Eleven years old when his Mother Polly disappears seemingly into thin air. An illegal Chinese immigrant, Polly has been preoccupied for weeks, concerned with trying to find a new job and make a better life for her, Deming and her boyfriend Leon. It is a day like any other when Polly goes off to her job as a nail technician at a nearby Salon to their home in the New Year Bronx. When she doesn’t return that afternoon, Deming believes that she has gone to Florida to make preparations for their new life there and will send for him and Leon when everything is ready. As the days turn into weeks, and the weeks turn into months, Deming realised that his Mother isn’t returning. Leon and his sister Vivian face a difficult decision about Deming’s future and he is eventually put up for adoption. At first he is sent to Peter and Kay Wilkinson as a foster child before becoming their son, Daniel Wilkinson after a lengthy process. Daniel settles into the small town life, after realising that he won’t return to New York anytime soon. As an adult, although Daniel is grateful for the life and love that his parents have given him, part of him still belongs in New York, and the other part is still a little boy desperate to what happened to his birth Mother and why she abandoned him. Meanwhile Polly is in China, wondering what happened to the Son that she had no choice but to leave behind. Their paths will eventually cross, but the journey there is not a smooth one. The Leavers is a beautifully written account of the struggles of language barriers, immigration laws and ethnic minorities in the community. 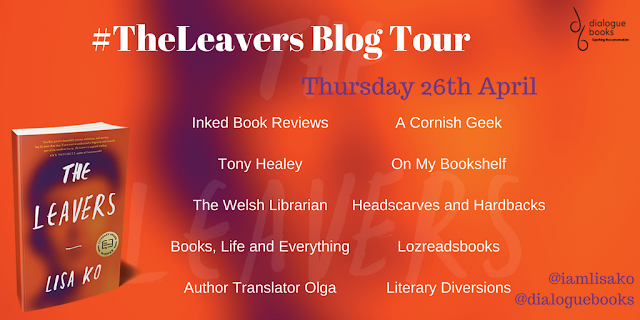 The Leavers is available now via Amazon online and all good book shops.